Leaving Annascaul – The Tom Crean Generation. How a young Annascaul man, became an Antarctic explorer. A young Tom Crean, from his days aboard HMS Ringarooma. On January 4th 1912, Tom Crean and Captain Robert Falcon Scott, shook hands, embraced and parted company for the very last time. 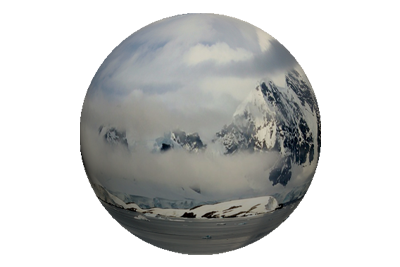 They were situated 150 miles from the South Pole, on Antarctica’s unforgiving polar plateau. Crean would return to base as part of the last support party, with Edward Evans and Bill Lashly, whilst Scott would make a final push for the pole, taking with him Oates, Wilson, Bowers and Edgar Evans. That he had not made the final cut for the Pole Party, was no refection of Scott’s opinion of Crean, in terms of his ability for the task. Quite the opposite in fact. After taking three 4-man sledging teams up the Beardmore Glacier, Scott’s original intention, was for two of them to return to base, during the journey, whilst he would proceed as part of the last four man unit. The First Supporting Party which consisted of Atkinson, Cherry-Garrard, Wright, and Keohane, turned back as planned, in latitude 85º 15′ on December 22, 1911. But on January 3rd, Scott informed the seven remaining men of a significant permutation to the original plan. He had decided to bring four men southwards with him, and send the last support party home, as a three man team. Scott had not decided upon, or assigned any definitive role, regarding sledging teams before departure. This astute move allowed him to monitor the men, over the course of the gruelling journey, and make his ongoing selections, based on these observations of performance and health. Crean’s potential place on the team was always likely to have been a choice between himself and Edgar Evans. That Scott chose Evans and opted to send Crean back, says more about his opinion of the Irishman, than one may imagine. It is often argued that Tom Crean was the fittest and most capable of the men that stood with Scott on the plateau that day, and should therefor have been selected for the Pole Party; whereas in actual fact, Crean was most likely sent back with a team that was a man short, because of that very fact. A cruel twist of Fate? Most definitely not! One of the most quoted sentiments about Tom Crean, is that if Scott had included him in the Pole Party, they would all have survived. This of course we will never know for certain, and opinions are no doubt clouded by Crean’s heroics as part of the Last Support Team. What we can say for certain is that Lt. Edward Evans would have certainly died but for Crean’s inclusion in that team. His epic solo march, at the end of a gruelling 1,500 mile journey is the stuff of legend. But could he have saved Scott and the Polar Party? Most probably not. Considering every aspect of their return, including surface conditions, the evaporation of cached fuel, severely low temperatures, and the subsequent results of frostbite, fatigue and diminishing daily distances; it is safer to suggest that no-one could have saved the doomed men, the last of whom (Scott, Wilson and Bowers) died 11 miles short of One Ton Depot. Crean’s input may certainly have seen them reach the depot, but that, and subsequent possibilities thereafter, can only be consigned to the realms of conjecture. It is more realistic to say that Scott, by way of not selecting him, actually saved Tom Crean’s life. That twist of fate, saw Crean heroically save Edward Evans, and later play an integral role in the epic survival story that was the Endurance Expedition. The Tom Crean 312 Cycle. 312 KM From Naas to Annascaul. For the second year running, eight members of Naas Cycling Club, will cycle an epic distance of 312 kilometres, in honour of Tom Crean. This year they have decided to use their endeavours as a means to raise funds for the Friends of Naas Hospital. Leaving Naas, Co. Kildare, at 5 am, on Saturday the 24th June, the route will see the brave group firstly arrive in Athy, for a quick stop at the Shackleton Statue, outside the Heritage Centre & Museum. From here they continue onwards through Stradbally, Portlaoise, Roscrea, Nenagh, Limerick, Adare, Newcastle West, Abbeyfeale, Castleisland, Farranfore, Castlemaine and finally Annascaul, in beautiful Co. Kerry. The journey will end upon arrival at the statue of Tom Crean, that stands in the village. An Irishman’s fight for survival on North America’s highest peak – Denali. It is almost two years since I was first in contact with Jerry O’Sullivan, from Ballinhassig, in Co. Cork. At the time Jerry had left a comment on a post I had written about Tom Crean’s epic solo march, in February 1912. It referred to Crean’s rationing of the few pieces of chocolate he had carried, on that trek, and how it had inspired Jerry in 2011, as he lay alone on top of Alaska’s Mount Denali, with a broken leg. Naturally I was eager to learn more from that intriguing snippet of information, so I contacted Jerry and asked if he would be interested in sharing his story, and he kindly agreed. This is his story. In April 2011 my friend Tony and I landed in Anchorage, Alaska for an early season climb of Denali (at the time officially called Mt. McKinley). Standing at 20,320ft Denali is North Americas highest mountain. We joined the rest of the group which consisted of five Americans, three of whom were guides, and one Swiss climber. We packed up food for a three week trip and following a gear check we drove a few hours to the small town of Talkeetna, which is the last stop for those heading to Denali. There we registered with the National Park Service, weighed our gear and waited for a weather window, which would allow us to fly into the mountains. A few hours later we and our gear, were loaded on two Beaver turbo-props and on our way over the vast wilderness that is Alaska. Not for the faint hearted. Our plane journey brought us very close to surrounding mountains and through “one shot pass” to our landing site on the soft snow at basecamp, on the Southeast fork of the Kahiltna Glacier. The planes were quickly unloaded and camp set up for the night. We were at an elevation of 7,200ft and had 3 weeks to attempt the summit and get back to basecamp in time to catch our flight out of the mountains. We were ready. Over the next two weeks we made our way up the mountain fully loaded with food, personal and group gear in our backpacks and sleds. The approach to dealing with the weight of our gear and the altitude was to “carry and cache” loads at higher elevations during the day and return to camp at lower elevations to sleep. The following day we would move to a higher camp before returning to recover the buried cache. This method along with rest days brought us up the mountain through camps at 7,800ft, 11,200ft, 14,200ft and finally high camp at 17,200ft. We climbed landmarks such as Motorcycle hill and Ski hill and rounded the famous Windy Corner. The scenery was wild, beautiful and pristine as we looked down on the endless surrounding peaks, the most prominent being Mt Hunter and Mt Foraker. On 8th May after a long tough day we reached high camp. The weather forecast for the next two days was for a high winds but those winds never came. One of the American climbers had left our group to return to base camp a few days earlier. The long climb to high camp took its toll on another so we were left with four climbers and two guides hoping to make the top. Camp, along the route to Denali. Naturally I was eager to learn more from that intriguing snippet of information, so I contacted Jerry and asked if he would be interested in sharing his story, and he kindly agreed. 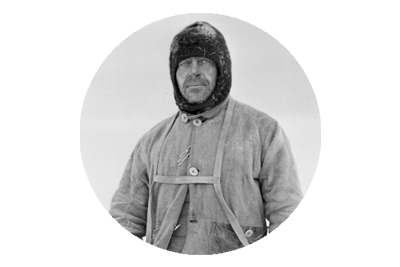 His interest in Tom Crean and Ernest Shackleton, was largely responsible for him becoming a member of the Beyond Endurance Expedition of 2008. And like minded friendships forged in South Georgia during that time, coupled with a keen sense of adventure, led to him taking up mountaineering. He started climbing in Ireland, before scaling peaks in Europe and South America, prior to tackling Denali. What transpired on North America’s highest peak, was the stuff of nightmares, for any mountaineer, and truly is a ‘must read’. But for now, this is the prologue to that story, which will follow shortly. My thanks to Jerry O’Sullivan. An account by expedition member Jerry O’Sullivan. When I was in school the only person I associated with the South Pole was Captain Robert Scott. I’d never heard of Roald Amundsen. I was certainly not aware of Ernest Shackleton or Tom Crean. 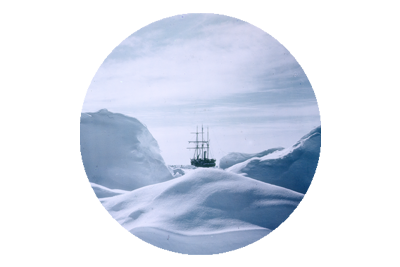 Many years later, through an interest in photography, I purchased a book of Frank Hurleys photographic account of Shackleton’s ill-fated, Imperial Trans-Antarctic Expedition. I was completely blown away by the epic story of the Endurance and her crew. In fact I was very surprised by the great Irish involvement with Shackleton, Crean and Keohane playing such important roles. Later Michael Smiths wonderful book Tom Crean Unsung Hero brought to life the full account of the Kerry man’s influence in this Heroic Age of Antarctic Exploration. I never thought it would be possible to go to the places visited by Crean & co, until the adventurer Pat Falvey, sought out ‘ordinary men and women for an extraordinary adventure’. So in 2008 I signed up for the Beyond Endurance Expedition, following in the footsteps of Crean and Shackleton across the island of South Georgia, in the South Atlantic. In the early morning of 14th of November 2008 our ship pulled into King Haakon bay South Georgia. The day before had been stormy, and the remains of that weather front abated just long enough to allow us to land the RIBs on the shore at Peggotty Bluff. 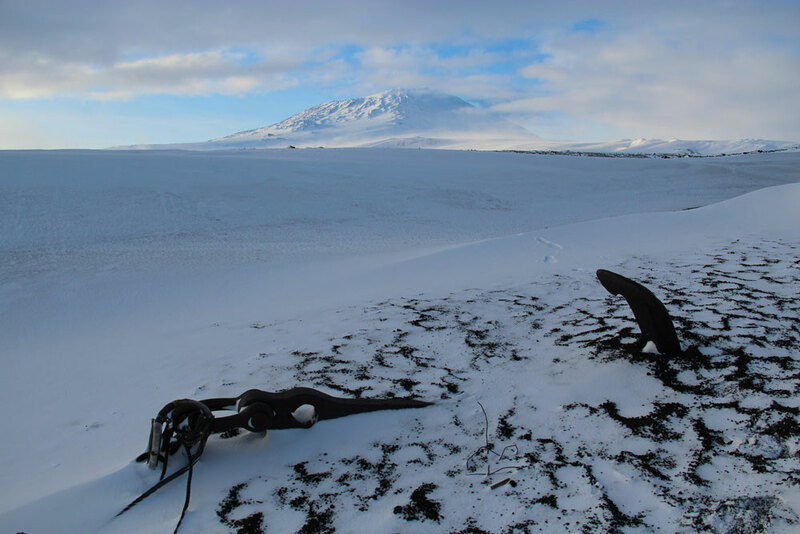 This is the same location from where Shackleton, Crean and Worsley began their traverse of the island on 19th of May, 1916. Jerry O’Sullivan, during the traverse of South Georgia, on the Beyond Endurance Expedition. 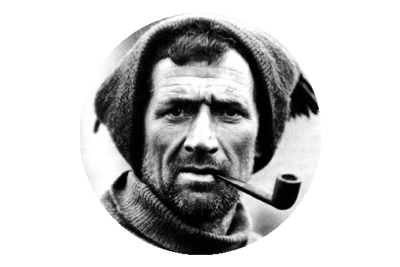 It is just over 100 years , since Frank Hurley took his iconic photograph of Tom Crean, on the Endurance Expedition. It is, above all other photographs of Crean, the one image that has become synonymous with his immense strength, courage and character.